If you thought LinkedIn was nothing more than a way your staff can promote themselves to potential employers then it is time you thought again. 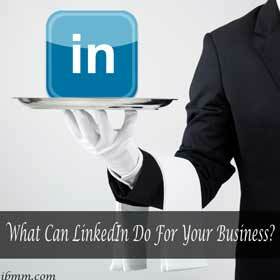 LinkedIn is actually a valuable marketing, research and networking tool for your business. It goes without saying that your own personal LinkedIn profile has been diligently completed. There are many companies, however, that have not set up their own LinkedIn page or whose page is not really acting as an ambassador for their brand or a recruiter of new business. Here is a guide to what LinkedIn could be doing for these businesses. Since being founded ten years ago LinkedIn has come a long way and it is definitely here to stay. It boasts over 100 million members and is easily the top business social networking site. It is a great place to be found on and your LinkedIn company page will also be listed in Google’s search engines. It seems almost churlish to ask what LinkedIn can do for your company but here is the low down for those who are still not convinced. Just for a moment let’s leave that all-important company page to one side and think about how your business could be profiting in other ways from LinkedIn. Any sales rep worth their salt must be able to immediately see the value that LinkedIn offers for finding qualified leads and for getting to know a bit about them before making contact. LinkedIn is a sales tool without peer and could be helping to deliver your future key clients or suppliers. The industry groups on LinkedIn offer a great way for your staff to share experiences and learn from others and to stay up-to-date with their areas of expertise. Larger companies may even wish to set up their own groups to facilitate this. This is where the company profile comes into its own – you can make LinkedIn a marketing tool that raises awareness, converts customers and helps you to stay top of mind. Setting up a page could not be easier – it will not take more than half an hour. Describe your company using keywords you think people may use to search with and provide links to your website and use the feed widget to integrate your Twitter and company blog as this helps keep your page active and up-to-date. You can not only get yourself found but you have every opportunity to start converting this interest too. The products and services section of your company profile gives you space to create individual listings for each thing your business does. What’s more there is even space for a banner ad at the top of each page. Design these carefully with a strong call to action and you can drive a lot of traffic to your website. These product pages can be fine-tuned over time and customised by the addition of variants that are designed to be served up to specific demographics. Another strong tool for converting customers is displaying recommendations for your company. You can recruit people to recommend you on your company page in a similar way that you do for recommendations on your personal page. We would suggest that your company can ensure it stays top of mind through the use of status updates. These are useful in driving engagement with those following your company page and keeping yourself top of mind with those potentially interested in your company. The best way to attract followers to your company is to make it easy for them to do so. LinkedIn provides a line of code that makes it easy to add a follow button to your website or blog. Including a call to action – like ‘follow our company on LinkedIn’ – in your email sign-off and on other communications can help too. LinkedIn can add value to your company’s recruitment efforts too. As part of your company profile there is a section where you can add information about vacancies and new positions. 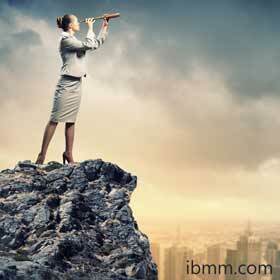 LinkedIn can also provide a useful tool for researching candidates for positions within your company as well. LinkedIn provides a number of other tools to help you monitor and analyse visitors to your LinkedIn pages. There are also a number of more advanced options – such as using advertising on the network – that can help companies to market themselves further on the network. For starters though you should consider the ways in which LinkedIn can benefit your staff, your sales and your company’s presence. Previous article: This Will Make You Rich – Even If You’re Clueless!